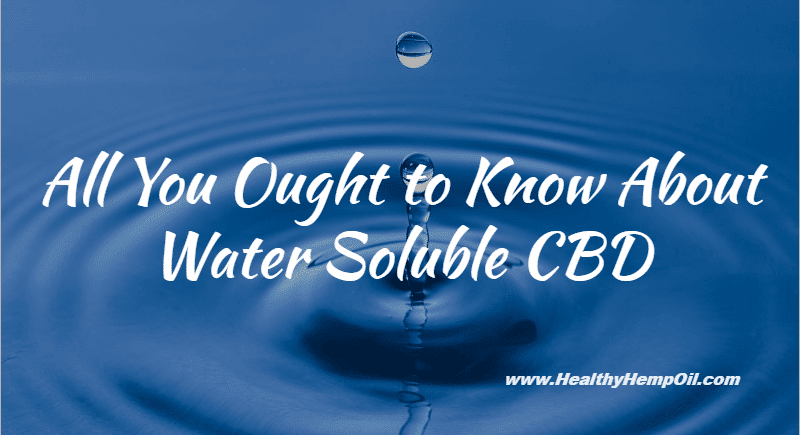 Simply put, “water soluble” means “able to be dissolved in water.” And although no one was talking about water soluble CBD until very recently, it makes sense that CBD water solubility is gathering more and more attention. If your body can’t easily absorb something, you need to consume more of that something to get the desired results. Recent research has shown that, when CBD is engineered to be water soluble, the amount of CBD that reaches the bloodstream is increased. When bioavailability is increased, more CBD makes it through the metabolic procedure, resulting in an actual reduction of serving size. The water solubility of CBD has been gaining more attention as scientists and researchers look at the best ways of CBD absorption in the body. Rather than receiving a mere 10% of what’s ingested, the body can absorb more when something is water soluble. Hence, when CBD is water soluble, your body simply receives more of what you’ve taken. When CBD isn’t processed to be soluble in water, the body doesn’t have the opportunity to absorb as much as it can. What’s left is passed through the bowels or urine, essentially wasted because the body wasn’t able to take in all it could. Poor bioavailability, uneven distribution in the body, and oxidation of CBD oil all become a thing of the past when CBD is made water soluble. With a water soluble compound, the body can absorb more, CBD is distributed evenly throughout the cells in your body, and it does not break down when exposed to air. 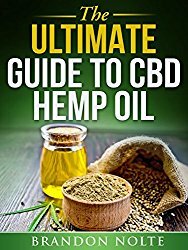 If CBD is water soluble, it can be more easily absorbed by the body. Think about it: oil and water don’t mix. This makes it a little difficult for the body to fully absorb CBD when it’s ingested in oil form. If you’re taking CBD, it should be water soluble in order to work most effectively. In the case of smoking or vaping CBD oil, this obviously isn’t the case as these methods of ingestion work to absorb differently in the body. If you’re taking CBD in liquid form or in a capsule, however, the importance of CBD water solubility can’t be stressed enough. Your body is going to absorb water soluble CBD much easier than CBD that isn’t bioavailable. Less CBD is needed to harness the same results. Taking too much of anything is unsafe. Even drinking too much water can be harmful for the body! When CBD is made water soluble, you’re ensured that you’re not taking too much. Your body is absorbing exactly what it needs even when smaller doses are taken. Although they are becoming more affordable, CBD products can tend to be costly. When CBD is water soluble, however, less is more. This means you’re not spending nearly as much money to get similar results. To make water soluble CBD, it’s necessary to alter the important compounds found in CBD with another substance to create extremely small water soluble particles. While this can be done chemically or through the use of detergents or solvents, there are natural ways to produce water soluble CBD. Basically, this means that the active compound found in CBD was combined with curcumin (a component of turmeric) to make another compound that would dissolve in water. 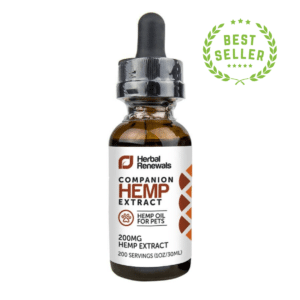 This all-natural method of bioavailability is a breakthrough when it comes to water soluble CBD. 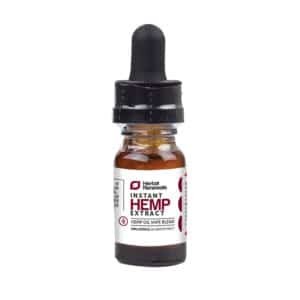 This process is found to be the most natural way of making CBD water soluble and has opened up an entirely new field when it comes to taking CBD. Although there has been a lot cannabinoid research, water soluble CBD is an entirely new discovery with research and production in its infancy. This exciting discovery of the ability to produce water soluble CBD, however, is showing promise for an even brighter future when it comes to taking CBD. Water soluble CBD has the potential to revolutionize the way you take CBD. No more second-guessing serving sizes or wondering if you’re getting the right amount for your needs. With water soluble CBD, you know exactly what you’re getting with the peace of mind that it is easily absorbed by the body in the most effective way possible. 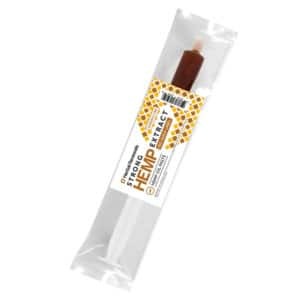 This is an entirely new arena for CBD consumption, and many new products are beginning to make their way to the market. Bio CBD Plus offers a wide range of water soluble CBD products, in the form of a CBD topical, as hemp tablets or even as CBD gel. If you’ve got thoughts on this exciting new aspect of CBD, we’d love to hear them! 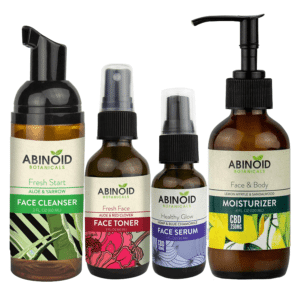 Do you have experience with water soluble CBD products? If so, please share your feelings in the comments below. We look forward to hearing from you and keeping you updated on the promising benefits of water soluble CBD.